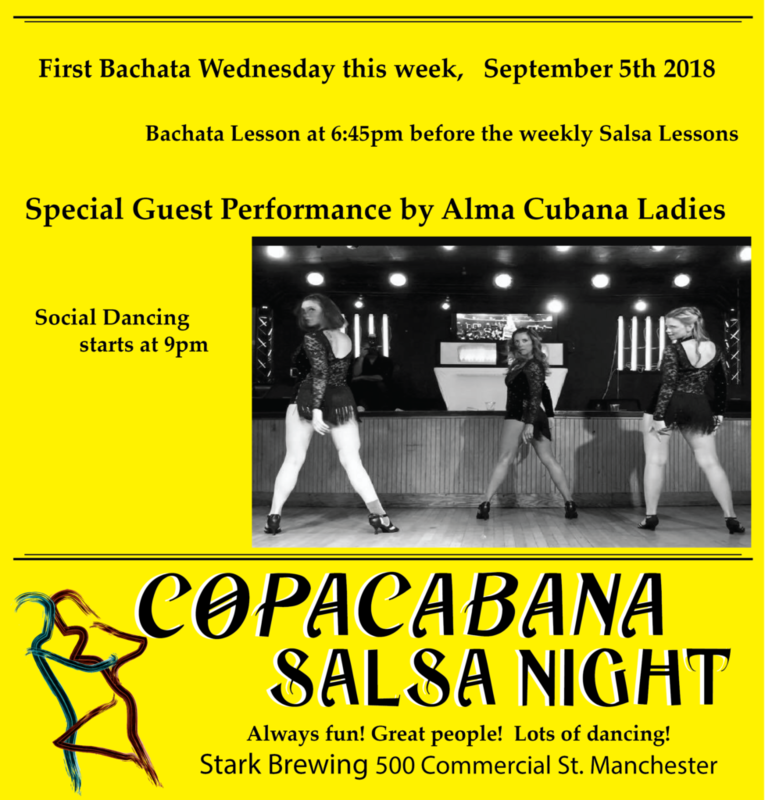 It’s first Batchata Wednesday this week at Copacabana Salsa Night! And we have guest performance by Alma Cubana Ladies from Portland, ME. Be sure to be there for the hottest Salsa north of Havana! Just a post to let you all know that yes Copacabana Salsa Wednesdays are still happening and have never stopped! Last week’s food drive for the NH Food Bank was fantastic! Thank you everyone for your generous support. We received 278lbs of food donations and raised $250 with the lesson fees and cash donations. Thank you! 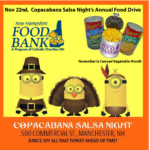 We hope you all had a great Thanksgiving weekend and remember, you can dance tonight at Copacabana Salsa night. Come have fun at the hottest spot north of Havana for Salsa! Lessons 7:45-9pm. Social dancing follows until close at 11pm. 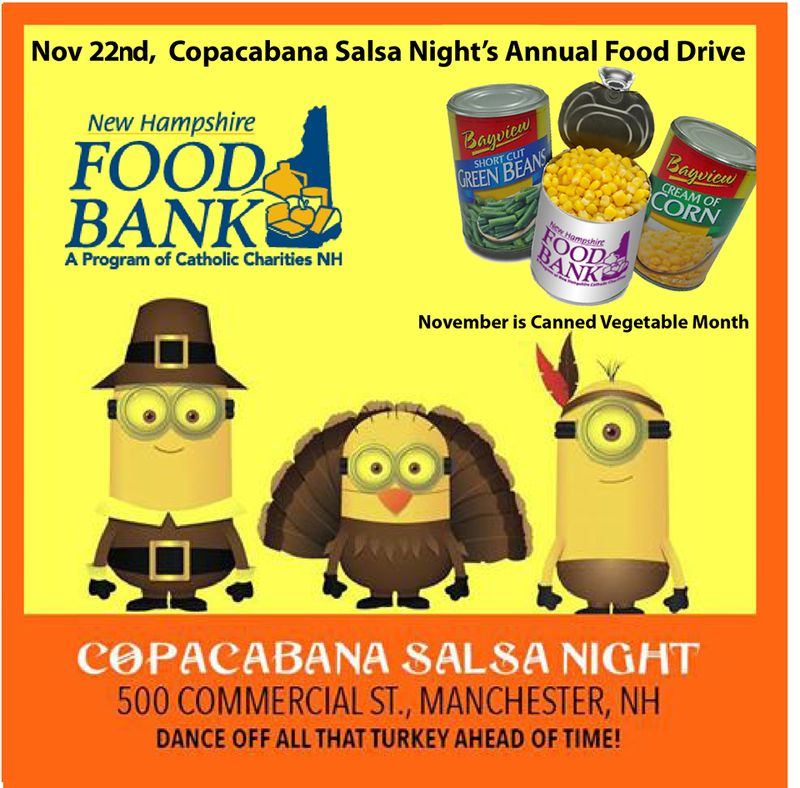 This Wednesday is our annual Turkey Burn dance till midnight Food Drive to benefit the New Hampshire Food Bank. In addition to the donations from the community, all of our lessons proceeds from the night will go to the charity. 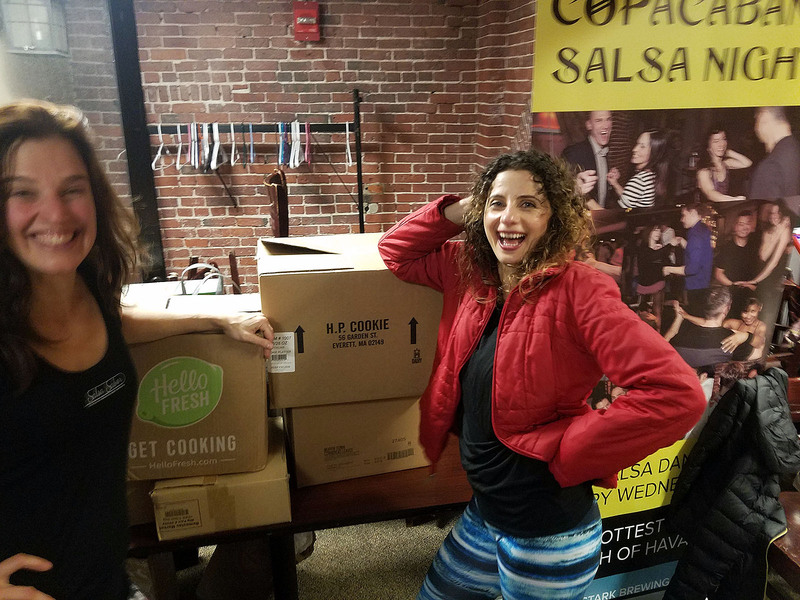 Bring friends out to introduce them to Salsa! Please be generous, Salsa Sabor hosts a free salsa night the entire year and this is the only time we ask our community to give anything in return. Consider that any other night costs $5 or $10 every week if you want to go out dancing. Please be generous with your donations of Non Perishable Food items or $$$ this year . Let’s help those less fortunate than ourselves! Thank you! 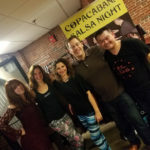 Join us TONIGHT for 1st Wednesday Bachata night at Copacabana Salsa! 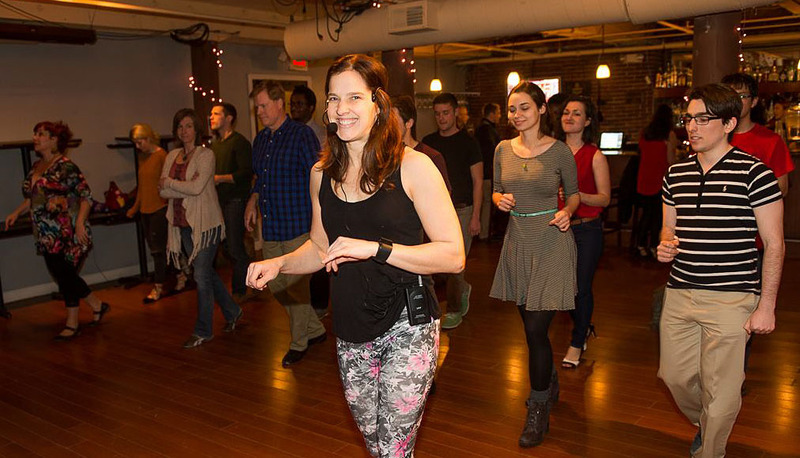 We start early tonight, and every first Wednesday of the month, with a Bachata Lesson at 6:45pm before our weekly salsa class. 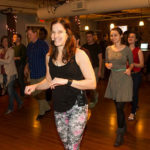 Cost is just $10, this includes the Salsa lesson that follows at 7:45pm. Social dancing starts after the lessons around 9pm and goes till 11pm with no cover charge. 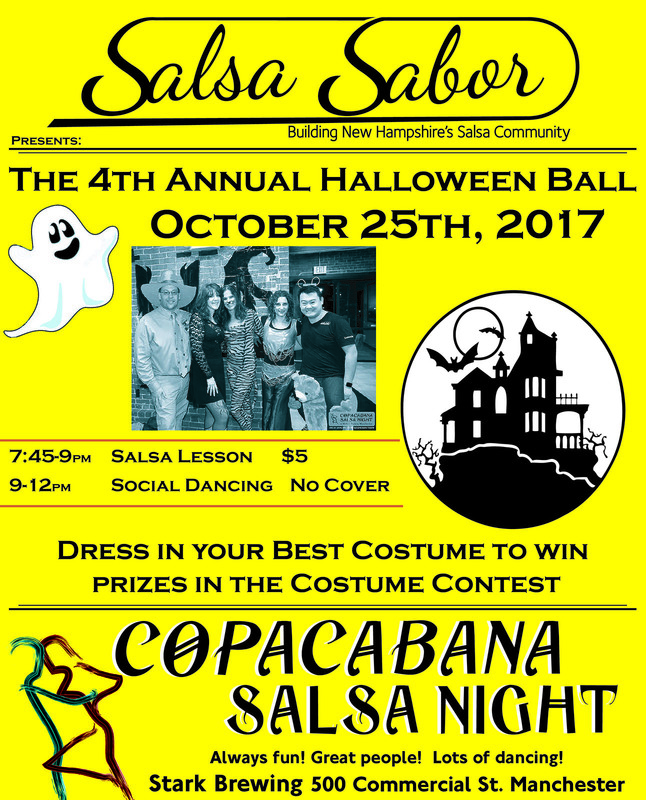 Come out and have fun dancing to the best mix of Bachata and Salsa in New Hampshire! 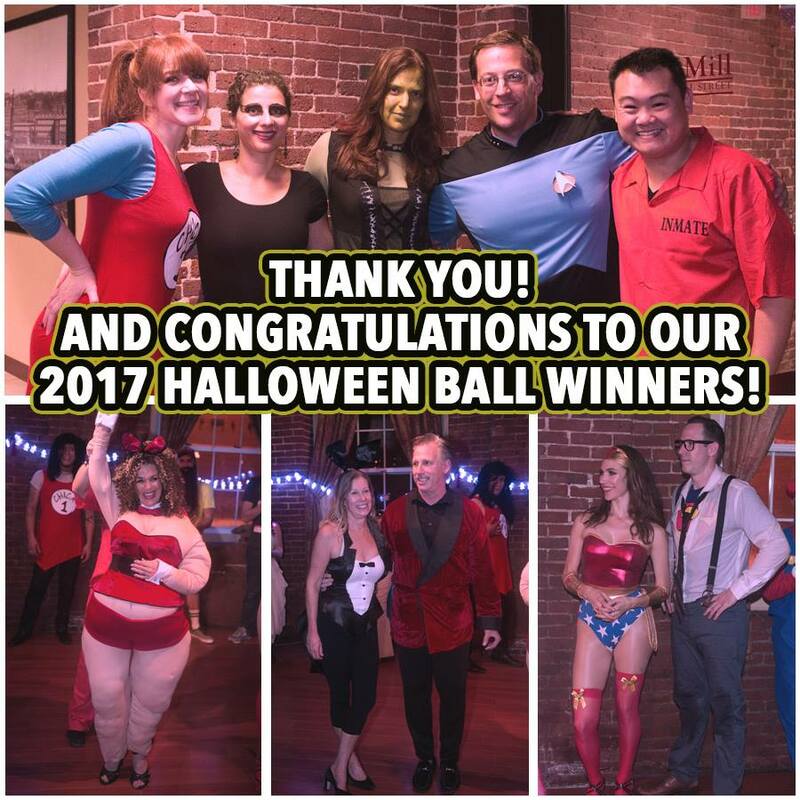 Congratulations to our costume winners and thanks for coming to the Halloween Ball! 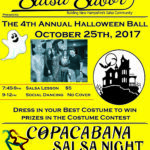 Salsa Sabor wants to say a big thank you to everyone for coming out and celebrating at another great Copacabana Salsa Night Halloween Ball! Congrats to all our costume contest winners! Don’t forget to tell your friends about how much fun you have at salsa and bring them next week. ds free salsa dancing every Wednesday night at Stark Brewing Company. Announcing the 4th Annual Halloween Ball, October 25th, 2017. Come out in your best costume and have the most fun on what is our biggest bash of the year. We are working hard to make this years even bigger and better than last years! 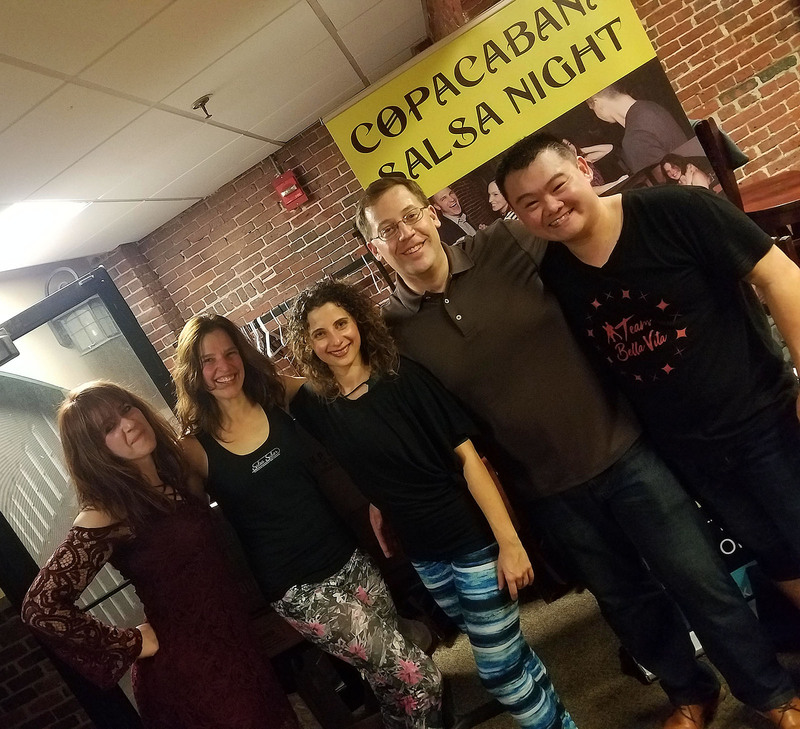 First Wednesday Bachata at Copacabana Salsa Night tonight! Special performance by Leah’s Chica’s Manchester. 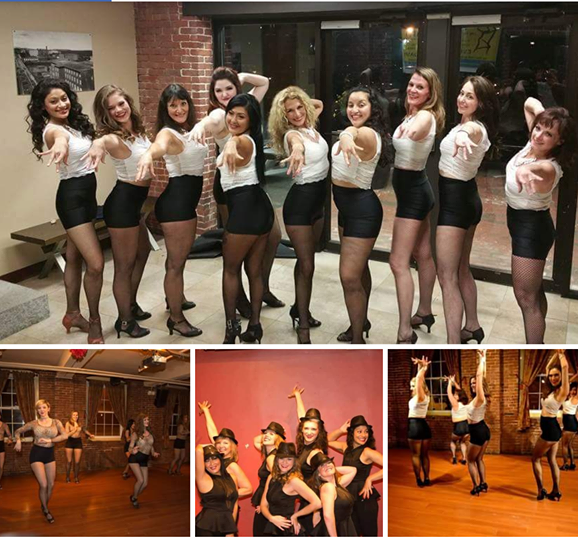 Rumor has it this is the sexiest Chica’s yet, so be there to cheer on our local community members as they show off their hard work in tonight’s performance. Once a month Bachata lesson before the weekly Salsa lesson tonight. 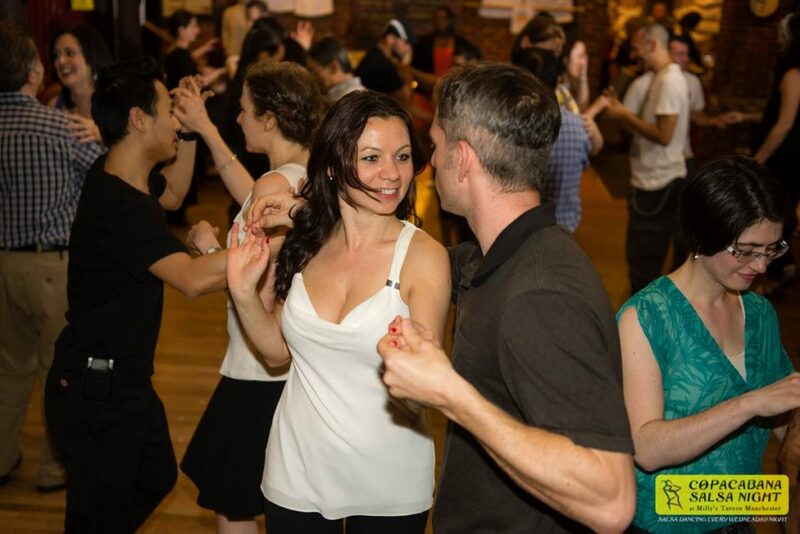 Bachata lesson 6:45-7:45pm, salsa lesson 7:45-9pm, Social dancing till close at 11pm to the best mix of Bachata and Salsa!